Parking Prankster: Prankster Operator guide to winning at POPLA. Lie, and don't send the motorist your evidence pack. Prankster Operator guide to winning at POPLA. Lie, and don't send the motorist your evidence pack. 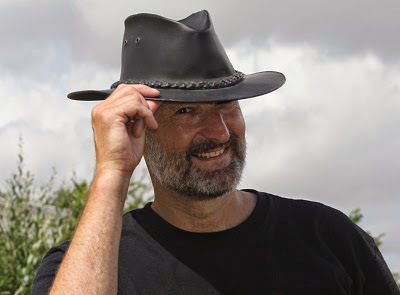 The Parking Prankster has seen a worrying new trend emerging from Parking Operators; telling deliberate lies to POPLA, and not sending the motorist their evidence pack. The latest occurrence is reported here on pepipoo. However the Prankster knows that this is not an isolated incident and will no doubt be reporting on the others when the time is right. To summarise the incident. Doncaster Airport (Robin Hood) do not want motorists stopping on the airport roads to let passengers in or out of vehicles. They have signs to this effect, but they leave something to be desired. This is one of the entrance signs (picture taken June 2013), hidden behind flags and another sign. Although signs elsewhere are not obscured, the fonts are too small and there is too much text to be read from a moving vehicle. The Prankster does not have any panoramic photographs from Robin Hood airport to show the signs in context, but here is one from John Lennon airport, also managed by VCS, and the signs are similar. Here is a close-up picture of the actual signage at the entrance to Robin Hood Airport. As you can see, the writing is far too small and there is far too much of it to read from a moving vehicle. The driver, unable to read the signs from a moving vehicle, safely stopped in a closed off exit on a roundabout and got out to read the signs. The driver then discussed what to do with the passengers, decided not to accept any implied contract, and left. 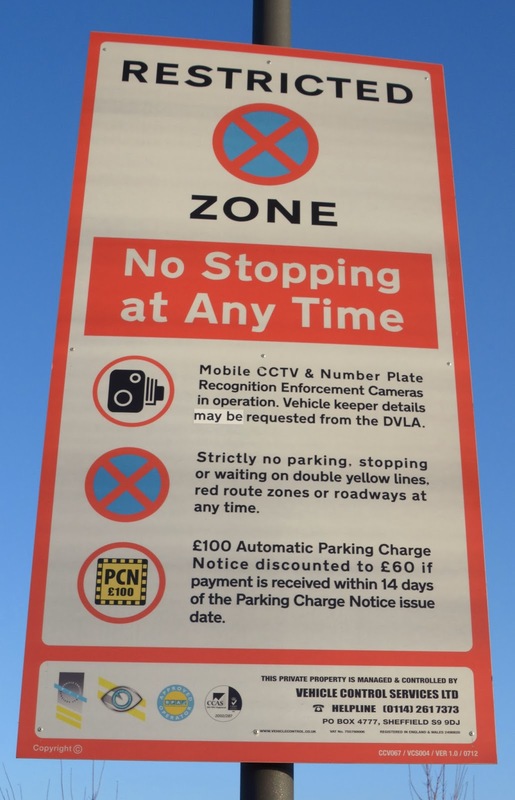 It is therefore extremely ironic that VCS issued an ANPR ticket for stopping briefly, because the only way you can read the signs is to stop. The registered keeper appealed to VCS who rejected the appeal, and then to POPLA on the single appeal point that the airport roads are covered by bye-laws and are therefore not subject to POFA 2012. As the registered keeper is therefore not liable the charge should be cancelled as only the driver can be pursued. (c)any land (not falling within paragraph (a) or (b)) on which the parking of a vehicle is subject to statutory control. Airport land covered by bye-laws (statutory control) falls under 3(c) and is therefore exempt from POFA 2012. The next document the registered keeper received was a POPLA verdict. Surprisingly his appeal was turned down. which is where the incident occurred. breach of the terms and conditions. Even more surprisingly, the operator, VCS stated there are no byelaws. This is a blatant lie, as the byelaws are freely available here on the airport web site. The bye-laws make it quite clear that parking controls apply to all private roads on the airport. The registered keeper could of course have pointed out that VCS were lying...if he had received their evidence pack. Evidence packs should be received 7 days before the hearing to give the appellant time to review them for accuracy. The Prankster notes that this is not the only time evidence packs have gone missing. POPLA do not have a robust system for handling evidence packs. They rely on the operator to send them out, causing obvious problems. The Prankster has received many evidence packs where the operator has lied regarding the date when the were sent out. The keeper is now contacting POPLA to inform them that he has not received any evidence pack from VCS and therefore has not had the chance to contest their evidence. The Prankster notes that in the past where this has happened POPLA have re-opened the appeal, made sure the motorist has got the evidence pack, and then re-heard the appeal. The Prankster suggests that the motorist also contacts VCS and informs them that he is contesting the POPLA verdict because he has not received their evidence pack yet. This will stop the clock on any action on their part until the appeal is re-heard. The Prankster also notes that POPLA have been very slow in acting in situations like this in the past. The registered keeper and VCS could be in for a long wait as some of these cases have taken over 5 months for POPLA to finally make the decision to re-open the case. The Prankster wonders if the phone number of Richard Reeve (0207 520 7202), tribunal manager at POPLA, will soon become etched into the speed dial of the registered keeper's phone as he tries to hurry POPLA along. POPLA are currently shut until 6th January. I have an appeal listed for mid November which hasn't been heard yet nor has an evidence pack arrived (different site and operator). I have decided to do nothing in the hope that this case has got lost in the system and will die of old age. If it comes to life after 2 years I will suggest that Article 6, a right to a fair trial, Human Rights Act has been breached due to the passage of time. If they truly don't want cars stopping on the approach roads (rather than the prohibition on stopping being a money spinner for VCS) then using the bylaws to prosecute motorists is the correct course. It's ludicrous to try & pretend that the motorist enters into any form of contract with VCS (or their principal). The airport operator gives implicit permission for vehicles to drive along the approach road as how else are passengers to reach the terminal? The whole premise of these charges are nonsense. I read an interview with a spokesperson for Humberside airport who tried to justify these restrictions for security reasons following on from the Glasgow incident. If it is not safe for traffic to use these roads due to their proximity to the terminal, then they must be closed and safer alternatives put in place. somehow I don't think that will happen! This is the same stupid argument put forward by the people at Luton Airport for towing away vehicles when they have stopped for a couple of minutes. When challenged the tow-truck operator said the car might be a "security risk". So, instead of calling the bomb squad, these untrained guys tow a potential car-bomb along the busy airport roads, thus endangering many people. One wonders if the correct response to that would be to dial 999 and say that you have been informed that there is a suspect bomb according to the tow truck operator. Given that people have been taken to court simply for joking about such a thing, you should argue that as it was clearly not intended as a joke that you took appropriate action based on the fact that these people were suggesting it was the case and you could see that they were not taking the appropriate action. I have an appeal with POPLA listed for the middle of last December. I still haven't received an evidence pack from the operator and neither has POPLA. What worries me is that POPLA don't seem concerned about this. I'm aware that they have a backlog to deal with but this shouldn't equate to dropping the requirement for the operator to work to the same timescales I was given. gatwick meet and greet is your best solution to hassle free parking and trouble free traveling. All you have to do is avail your chance. enjoy the wonderful parking deals with gatwick valet parking and set out to enjoy your vacation the way you planned it. HI I AM UNABLE TO GET THE BYE LAWS, AS WE DONT KNOW THE DRIVER OF OUR VEHICLE SO IF BYELAWS THEN THEY SHOULD NOT BE ISSUING A CHARGE TO US THEY HAVE SAID NO BYE LAWS IN PLACE, CAN ANYBODY CLARIFY THIS FOR ME I HAVE EMAILED AIRPORT, CAROLINE FLINT MP. BUT NO RESPONSE AND ITS BEEN TAKEN FROM ROBIN HOOD WEBSITE. SURELY THERE MUST BE BYELAWS FOR AN AIRPORT RE SECURITY. RESPONSE. just sent you an email and a copy of my last letter from vcs.